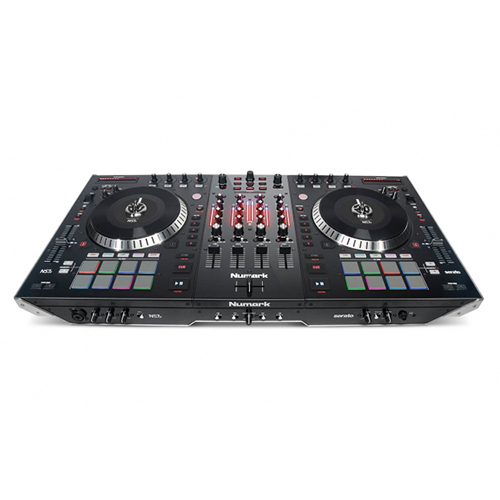 Four channels of mixing, real slip mats and vinyl, motorized turntables, and a full array of touch-activated knobs and filters and velocity-sensitive performance pads—NS7II is the most responsive DJ console ever created. Nearly every inch is filled with controls that come to life, reacting to your touch and illuminating in response to your style. 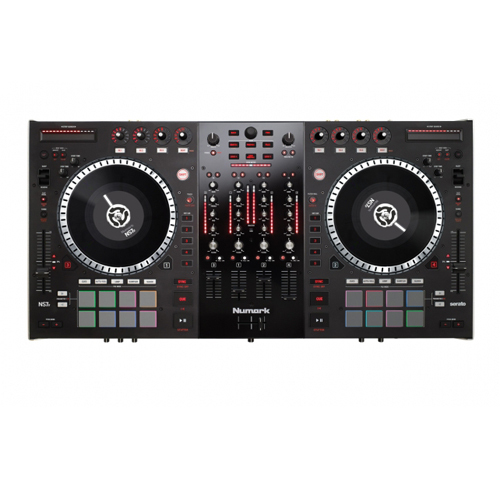 You get unprecedented visual feedback, ultra-tight control via high-resolution MIDI, and the most comprehensive integration with Serato DJ available. 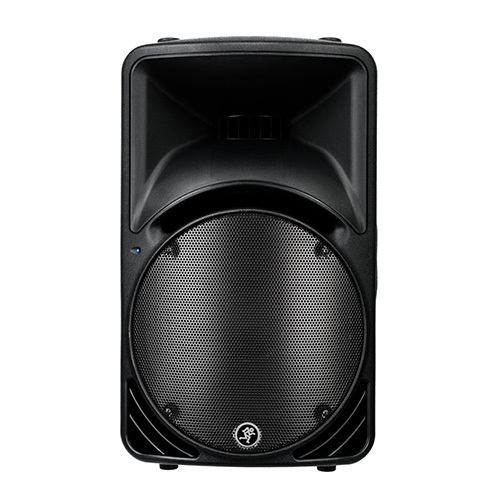 Powerful, cutting-edge technologies blend together perfectly to give you unmatched mixing capability in a rugged, all-metal design that’s born to perform. 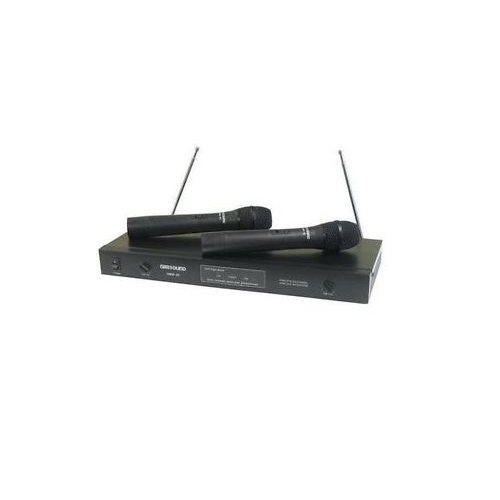 Categories: Audio Rentals, Digital DJ Controllers, DJ Gear. 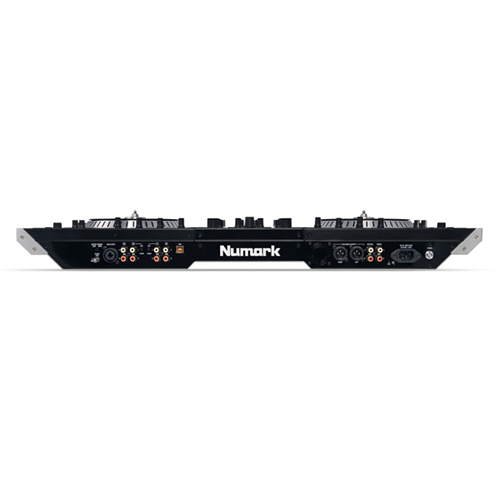 Four channels of mixing, real slip mats and vinyl, motorized turntables and a full array of touch-activated knobs and filters and velocity-sensitive performance pads—NS7II is the most responsive DJ console ever created. Nearly every inch is filled with controls that come to life, reacting to your touch and illuminating in response to your style. 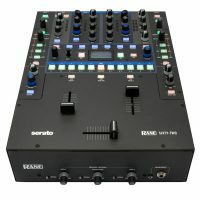 You get unprecedented visual feedback, ultra-tight control via high-resolution MIDI, and the most comprehensive integration with Serato DJ available. Powerful, cutting-edge technologies blend together perfectly to give you unmatched mixing capability in a rugged, all-metal design that’s born to perform.